Don’t miss the chance to drive the capable and luxurious Range Rover Evoque at a super price! 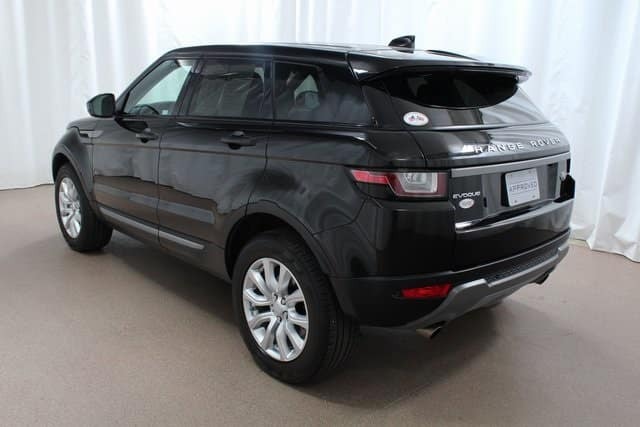 This 2017 Evoque is a Land Rover Approved Certified Pre-Owned SUV. This retired service loaner is low mileage and features an exciting variety of features including premium heated leather seats, Cold Climate Convenience Package, Emergency Communication System, traction control, and heated steering wheel. The Approved CPO program provides a 5-year / 100,000 mile warranty so you can have peace of mind. With this Evoque you also get a powerful and dependable 2.0L turbocharged engine paired with an efficient 9-speed automatic transmission. Visit Land Rover Colorado Springs today to experience the impressive power and luxury of the 2017 Range Rover Evoque!